After 3 successful years, the Graduate Fashion Week Tu Scholarship Programme is growing internationally to showcase the dynamic and global career path that Tu offers its designers. The two winners of the 2019 Tu Scholarship Programme will experience the incredible opportunity of living both in the UK and abroad as they see their collection move through the process from design to manufacturing to retail. The graduates will spend 12 months in the Ansty office, Coventry, developing their designs and understanding of the Tu brand, as well as spending 1 month in India at the Tu office overseas. GFW17 womenswear scholarship winner Laura Gillings’ AW18 collection for Tu. GFW17 menswear scholarship winner Amy Vandewal’s AW18 collection for Tu. For the first time, the scholarship will not be specified to a particular category to ensure talent remains the focus. Each of the winners will be mentored throughout their scholarship by an established designer, offering them unparalleled support and guidance. The winners of the Tu Scholarships will be announced at The GFW Gala Awards Show on Wednesday 5th June. For the first time, there will be no restriction on the number of nominations that can be made by an individual university. One year fixed-term contract as a design admin assistant, paid £20,000, working alongside the Tu design team. A one month trip to India, working in the Tu headquarters. 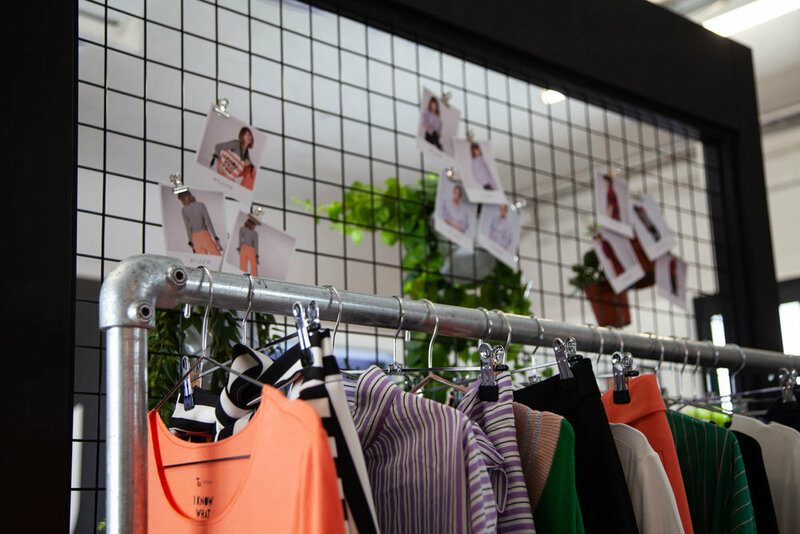 The opportunity to develop and produce their winning graduate collection into the Tu Clothing range. Additional mentorship by established designer mentors. Previous mentors have included Teatum Jones, Henry Holland and Oliver Spencer. For the chance to win the Tu Scholarship at GFW19, speak to your tutors and course leaders! Below, learn more about the Tu Scholarship winners from 2017, Amy Vanderwal and Laura Gillings. “I HAD A GREAT TIME AT TU - IT IS SUCH A LOVELY ENVIRONMENT TO WORK AND YOU ARE VERY WELL LOOKED AFTER. I DO SEE MYSELF AS A COMMERCIAL DESIGNER SO I KNOW THAT I AM STARTING OUT IN THE RIGHT PLACE WITH SUCH AN AMAZING PLATFORM. “IT’S BEEN AMAZING TO SEE MY CREATIONS COME TO LIFE AND THE TEAM AT TU HAVE KEPT TRUE TO MY VISION, MAKING ONLY THE TINY NECESSARY TWEAKS TO ENSURE MY RUNWAY COLLECTION IS COMMERCIALLY VIABLE.